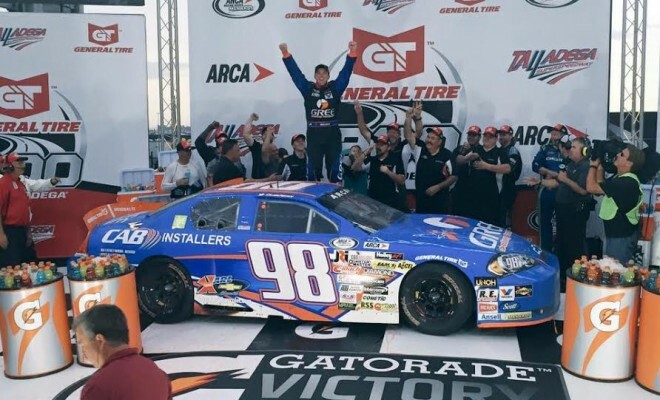 In a wild finish in the ARCA Racing Series presented by Menards at Talladega Superspeedway, Gus Dean earned the victory in the General Tire 200 by mere inches over Josh Williams. Dean, in just his second ARCA Series start, had a strong No. 98 GREE-Cab Installers Chevrolet throughout the race. After the third caution flag flew with nine laps remaining, ARCA officials announced the next caution would end the race due to severe weather in the area and pending darkness. The race returned to green with four laps remaining with Dean leading Williams. Shortly thereafter, the caution came out when the No. 14 of Dustin Knowles made hard contact with the outside wall as cars wrecked near the back of the field. The battle between Dean and Williams was so close that ARCA officials had to review the finish to determine the winner. “The car was obviously a top-notch car all day long. It got really hairy there towards the end,” an elated Dean would tell Fox Sports 1 in victory lane. Dean made his ARCA Racing Series debut in the season-opener at Daytona, but his day ended just two laps into the race when he was involved in a multi-car crash. Dean got another chance on Friday at the 2.66-mile superspeedway and made the most of the opportunity despite not having any teammates in the field. “I think it was clean racing and racing the way I want to be raced. Then they know when they get beside me they can trust me,” Dean said of working the draft despite not having a Mason Mitchell Motorsports teammate to draft with through the field..
Dean became the third consecutive first-time winner in 2016, joining Williams (Nashville) and Christopher Bell (Salem). “We had a really fast race car. Toledo is up next and we will go win there,” a dejected Williams said after earning his second top-five finish of the season in the No. 6 Muselman’s Big Cup Applesauce machine. Chase Briscoe, Will Kimmel, Sean Corr, Tom Hessert, Dalton Sargeant, Matt Kurzejewski, Bret Holmes and Brady Boswell rounded out the top-10. 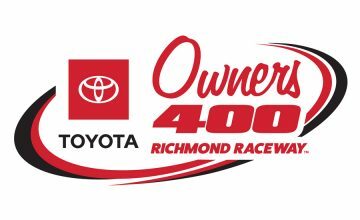 The results are unofficial as ARCA will continue to review the finishing order and release the final results upon the completion of their review. Briscoe and Kimmel dropped to the rear of the field at the start to team up in the draft. The duo would run together throughout the race en route to their top-five results. Hessert earned the pole position earlier on Friday afternoon and was out front early in his No. 25 RelaxWraps.com-Cometic Toyota before being shuffled to the outside on Lap 35 and dropping back to the 23rd position. “It was a heck of a race. It was a blast being out there,” said Hessert, who led the most laps of the afternoon en route to his unofficial sixth-place result. The first caution of the afternoon flew at Lap 45 as the leaders hit pit road for the first time. The No. 02 of Andy Seuss didn’t slow down quick enough and made contact with the No. 59 of Korbin Forrister at the entrance of pit road. Seuss spun and his Chevrolet stalled to bring out the yellow flag. The ensuing pit stops would shuffle up the running order as a total of six drivers received pit road penalties. Kurzejewski, Boswell, Briscoe, Korbin Forrister, and Bobby Hamilton, Jr. all were penalized for speeding on pit road while Sheldon Creed pitted too soon. It was a race to forget for John Wes Townley, who entered Talladega with a 95 point advantage over Briscoe in the championship standings. Townley would cut a left front tire on Lap 9 that would destroy the fender on his No. 05 JIVE-Zaxby’s Chevrolet. The Watkinsville, Georgia native would hit pit road for repairs and return to the track five laps down. Townley would bring out the second caution of the race when his Chevrolet stalled on the track and finish 24 laps down in 29th position. The third caution with nine laps remaining was for a crash with Bo LeMastus, Terry Jones, and George Cushman. LeMastus got turned sideways by Kurzejewski and collected Jones and Cushman when his No. 42 Dodge bounced off the backstretch wall. 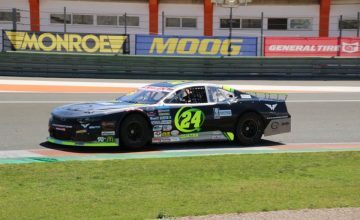 Briscoe took over the lead in the championship standings as the series will have an extended break before returning to action on May 22 at Toledo Speedway.